The Mahindra XUV500 is one of the company's most popular product and now in its refreshed avatar, promises to be more aggressive, more spacious and much more loaded in features than ever before. 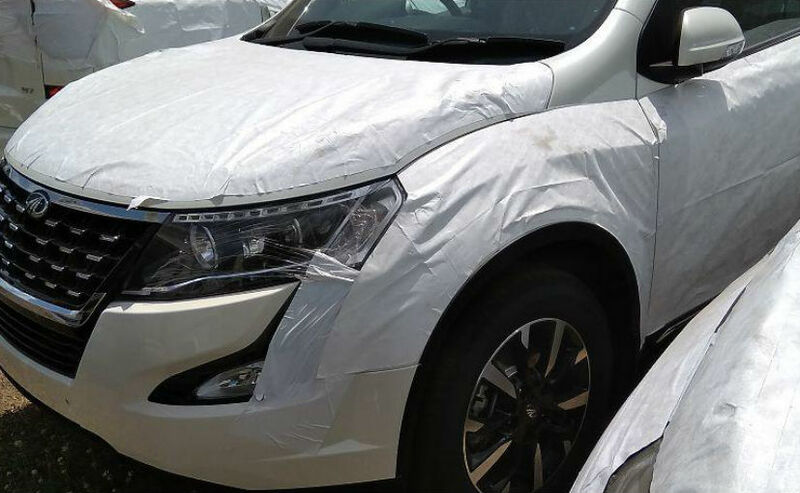 While Mahindra is all set to launch the XUV500 Facelift on April 18, the SUV was spotted at a dealership yard with bare minimum camouflage, giving a complete and clear view of what changes have undergone. The Mahindra XUV500 is one of the company's most popular product and now in its refreshed avatar, promises to be more aggressive, more spacious and much more loaded in features than ever before. With the Mahindra XUV500 facelift, the SUV segment will once again be hotly contested with the likes of Hyundai Tucson, Tata Hexa and even the Tata Safari Storme. Now, in terms of cosmetics, the Mahindra XUV500 facelift gets ton of changes up front like a new front grille with chrome surround and centre inserts. A pair of large projector headlamps on the flanks of the grille comes with integrated LED DRLs. Moreover, it also gets a pair of new fog lamps L-shaped black bezels and a larger central air vents. At the rear, the Mahindra XUV500 gets updated ORVMs with integrated LED turn signal lights, all-new wraparound LED taillights and individual brake lights positioned below. 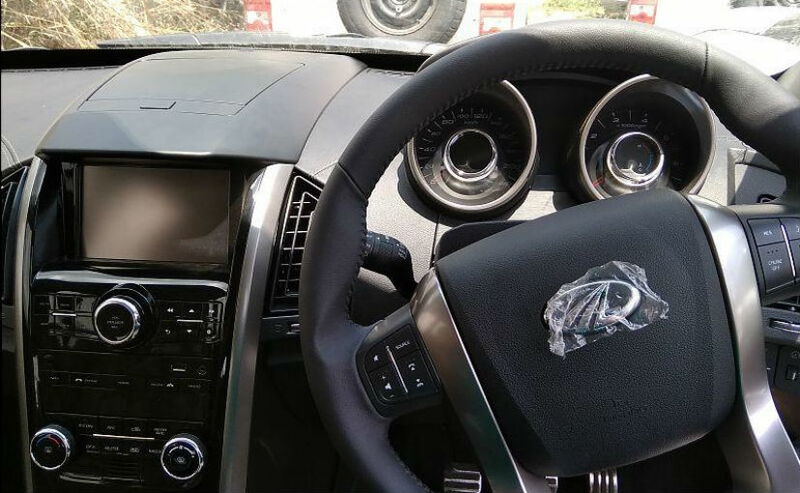 On the inside, the Mahindra XUV500 facelift features a new infotainment system with Android Auto and MirrorLink. The upholstery gets a new color combination while the dashboard gives a fresh feel to it. The piano black and faux aluminum inserts on the centre console oozes premiumness. 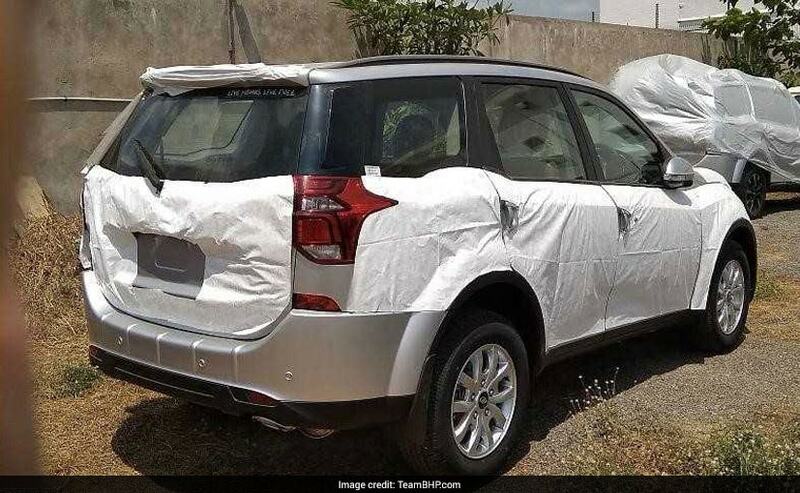 Like the previous model, this time too, the Mahindra XUV500 will come with additional cubby holes, cabin storage compartments and new automatic climate control and a sunroof. Under the hood, the Mahindra XUV500 facelift will be powered by the same 2.2-litre mHawk petrol engine but promises to churn out more power than ever before. The torque too increases up to 320NM. The engine is coupled to the same 6-speed manual gearbox and the Aisin-sourced 6-speed automatic torque converter unit.